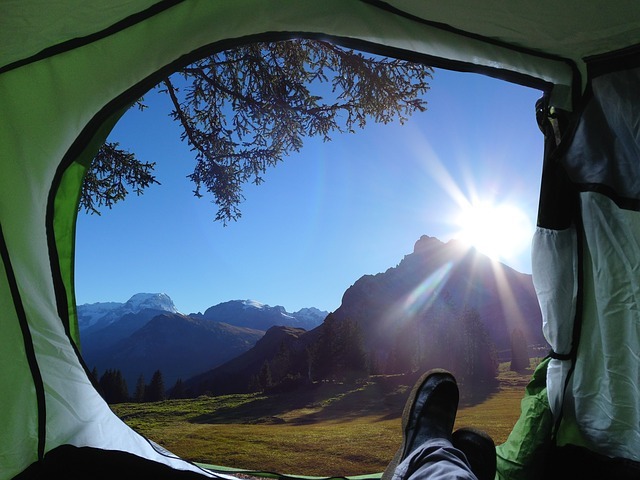 When it comes to camping, one of its amazing benefits is the stress relief. 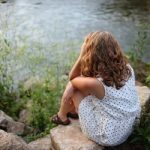 The effects of time in the great outdoors is so significant about your stress levels that there are now companies offering the wilderness therapy programs to help ease the symptoms of stress and other mental problems. A lifetime of wilderness exploration will give you the great understanding of the impact that time and nature have on your mental health. Therefore, we are going to discuss more the camping benefits as well as how it helps you to relieve stress effectively. Are you having time to get out camping regularly? 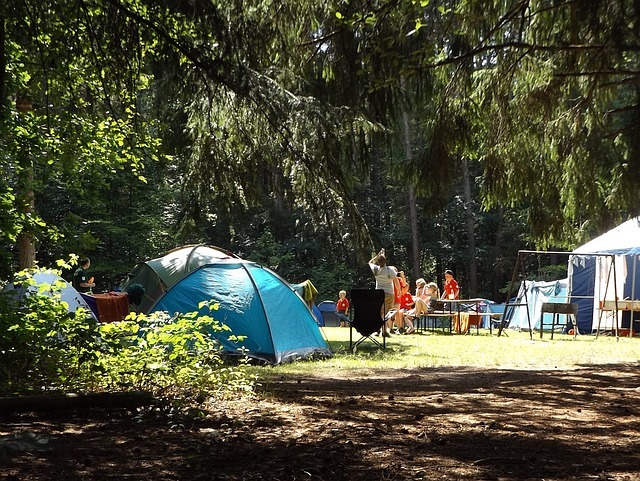 In particular, camping is not only a leisure activity to do on the weekends. It actually has a bunch of positive effects on a person’s health. And of course, you need to go camping in the right way to maximize its benefits on your body and your mind. The first tip to relieve your stress during your camping is to unplug and disconnect the explosion of mobile technology. It is proved that the anxiety and the poor sleep can be connected with the overuse of phones and computers. So, a weekend camping without these items will do you better than you might realize. Spending your time away from your phones also allows you to connect with nature as well as your natural surroundings. As a result, I highly recommend that you should enjoy the moments with nature and abandon your phones. If turning off your phone is out of the question, then turn it on to the silent mode and put it at the bottom of your bag. And well, you can give yourself 15 minutes near the end of the day to catch up on anything you may have missed before turning it off until the same time of the next day. A small tip is that you can bring along the solar charger for backpacking in case your phone is out of battery since you may go camping for a long time. Do you wonder why we need to take a deep breath when stepping into the fresh air? Well, the air in the areas of high-tree density has a higher level of oxygen in it. And a big deep breath can send the extra oxygen to your brain. This, in turn, releases more of the good stuff serotonin, which will elevate your mood. Furthermore, camping in the free air will help in detoxifying the body, which gives your immune system an extra boost for all-around good health. Thus, starting a day at camp with some deep breath will get you to feel great instantly. We all know how great being active is for our health. Therefore, participating in the physical activities such as hiking out to your designated campgrounds and setting up your tents can burn more calories, strengthen your muscles, stabilize your joints, improve your general fitness. Moreover, the cardiovascular exercises will help keep your heart and your lung health. People going out camping claim having a better night’s sleep when outdoors compared to at home in the comfort of their own bed. This is because that after a day full of venturing outdoors, people are exhausted and are able to fall right asleep as soon as their heads hit their sleeping bags in their tents. Of course, more serotonin is released, which will eventually calm your mind and relieve your stress. Hence, it really is no wonder that lovers of camping place such an importance on their precious weekend in the wilderness. Moving to the next point, spending time camping means additional exposure to the Sun. This extra time spent in the Sun results in the increased absorption of the vitamin D in your body. This assists in helping to maintain the normal levels of phosphate and calcium in the blood as well as help to keep your bones strong. Lastly, going camping enables you to spend time with your beloved people. Building the tent together can create more teamwork and more close-knit relationship. 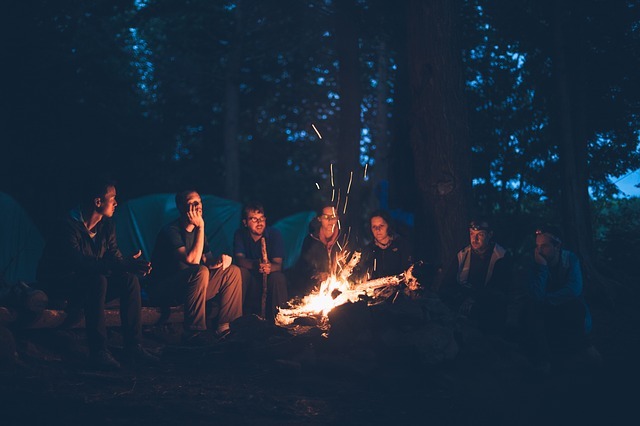 Besides, it is very incredible to sit together around the campfire and have the deep conversations with one another. I have to say that it is a great way to relieve your stress effectively. 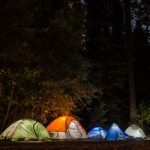 In summary, I hope that all of my sharing in this article will give you an overview of the camping benefits and how it helps you to relieve stress. 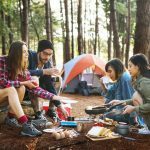 In addition, you can learn some important tips that can make your camping time more comfortable and stress-free. Try to apply them as much as possible to reduce your anxiety quickly. However, in case you have any confusions or queries, please feel free to keep in touch with me anytime. Luna is a camping and hiking enthusiast from Phoenix, Az. She loves outdoors and she wants to show people the endless possibilities of this world and open your mind to experience over possession. You can visit her blog to find out.